Established for more than 30 years, our locksmith business has steadily grown from strength to strength. We attribute this to the prompt, professional and friendly service we provide. 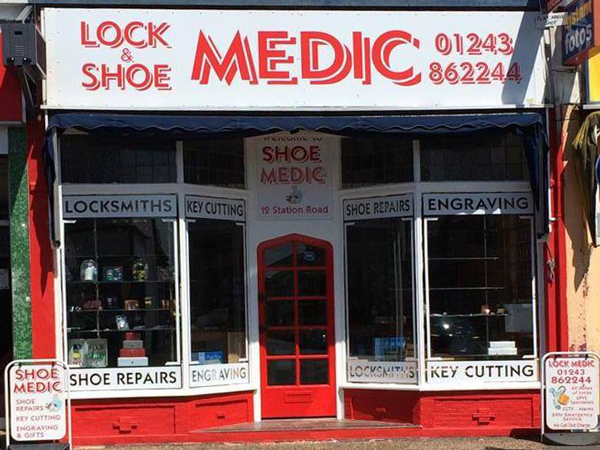 Whether you're a home owner or a business, when you're in need of a locksmith, or emergency locksmith, Lock Medic Locksmiths should be your first port of call. Over the last 30 years our family-run locksmith business has grown from strength to strength, and we're proud to be able to say that much of our work comes via customer recommendation. Just check out our customer reviews and you'll see why. Our professional and friendly team of locksmiths use the latest techniques and technology in every situation, while maintaining extremely competitive prices with NO VAT. We also offer CCTV and intruder alarm systems, in addition to key cutting, trophy engraving and shoe repair services. We have developed an outstanding reputation within our local community, the aim being to keep our services high and prices competitive, while maintaining customer safety and security.